Man, you are a genius, finally I can see my constructions in the fog! Many players have asked for it, thank you so much chief. This is the best thing ever thank you so much. @Tut-Greco "Thank you very much"
Great job! we're done with looking for admins to fix the weather! Honestly i dosen't help that much,the visibility still fucked,but still helpfull. Why not remove the foggy wheather from the Wheather cycle just like it was with rain ? indeed, it only removes the clouds during foggy weathers. you may install the draw distance mod as an addition, this will remove the distant fog. 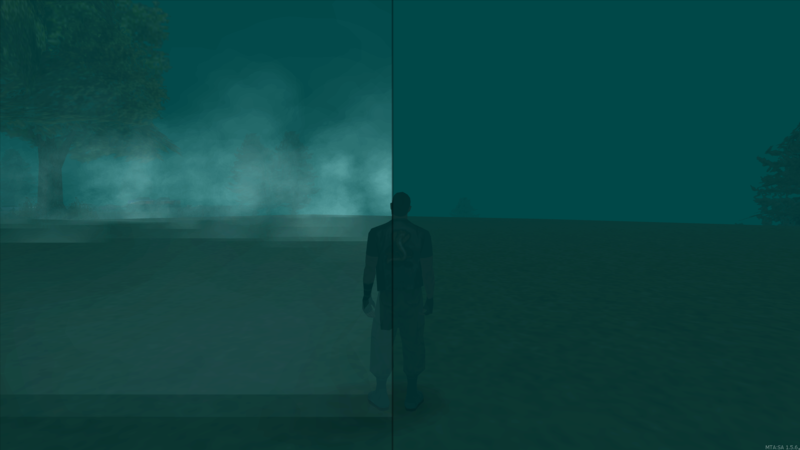 we could add a shader script so that players can enable/disable fog themselves, but that isn't something i'd pull off. feel free to make a server script suggestion for that. im glad you guys are finding use in the mod.